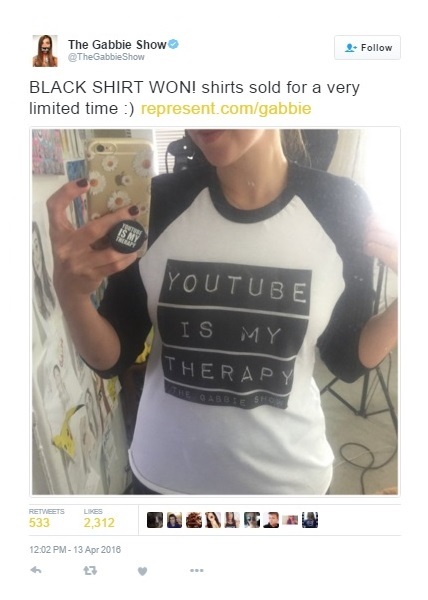 The Gabbie Show "YouTube Is My Therapy"
"The votes are in! Here's my super limited Edition "YouTube Is My Therapy" tee. Available for 2 weeks only!" International Shipping is available for all of my fans that send me snacks and candies from abroad!